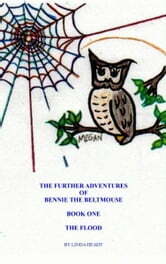 In The Further Adventures Book One, Bennie finds himself castaway with his friends Sarah Spider and Harvey Humblebee. Also lost is a baby owl named Octavia. Once again, the Plant Lady transcribes the stories for the Creatures of the Grass, this time Harvey the Humblebee and Bennie&apos;s grandma. Fall is approaching and winter is not far behind. The pressure is on for all the characters of this story, for winter is no time to be out and about if it can be avoided. Enjoy along with us. There are more books to come.